The Halloween deadline is approaching for those of us who make things for Halloween. Halloween makes me think about being a kid again and it’s fun to dream about Masquerade Balls and Mysterious happenings. The Mysterious Boo Sisters in Process on the work table. 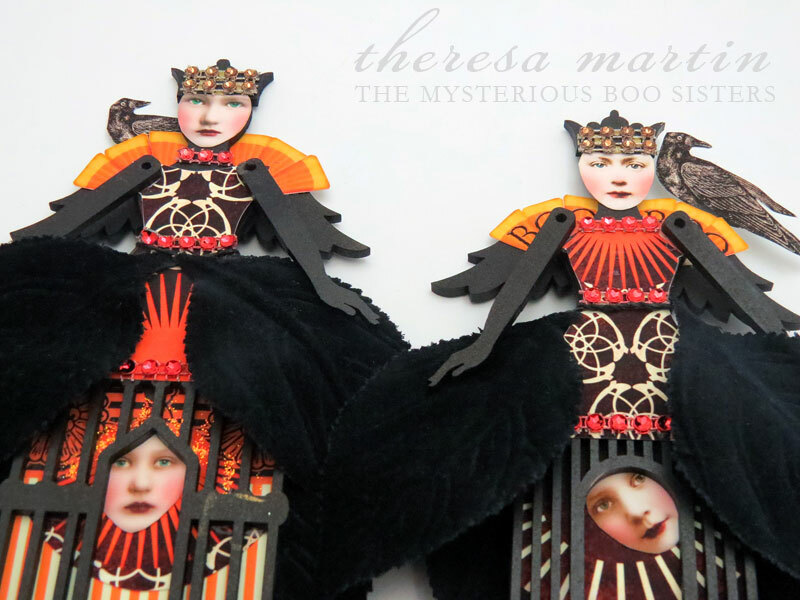 You can read more about how I made the Boo Sisters on the paperwhimsy inspire blog. The Amazing Alterables at paperwhimsy are on vacation until September 28th but the image downloads there are on sale for now. It’s a good time to stock up on the beautiful images. Details of the sale are below and clicking the image takes you directly to Gale’s shoppe. 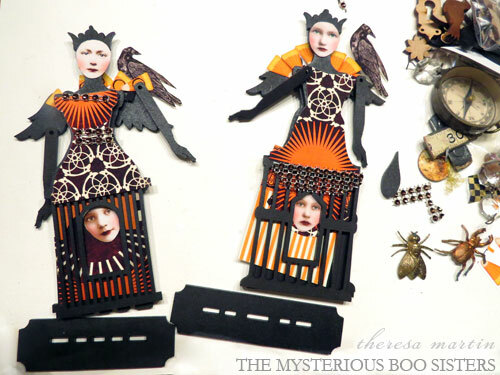 Categories: Blog | Tags: boo sisters, collage images, halloween, masquerade, paperwhimsy sale | Permalink. There will be six winners. One lucky winner will receive a $25.00 Gift Certificate to the Shoppe at Paperwhimsy. This is just in time for you to stock up on your Halloween goodies. Yes, that time is coming up quickly! Five 4″ x 4″ collages by me will also be given away. Leave a comment below and if you haven’t already, we’d love to have you like paperwhimsy Facebook page here. You’ll see weekly whimsical news that is sure to inspire, get info on new products, and get fantastic inspirations. Gale also has a giveaway going on her blog HERE. 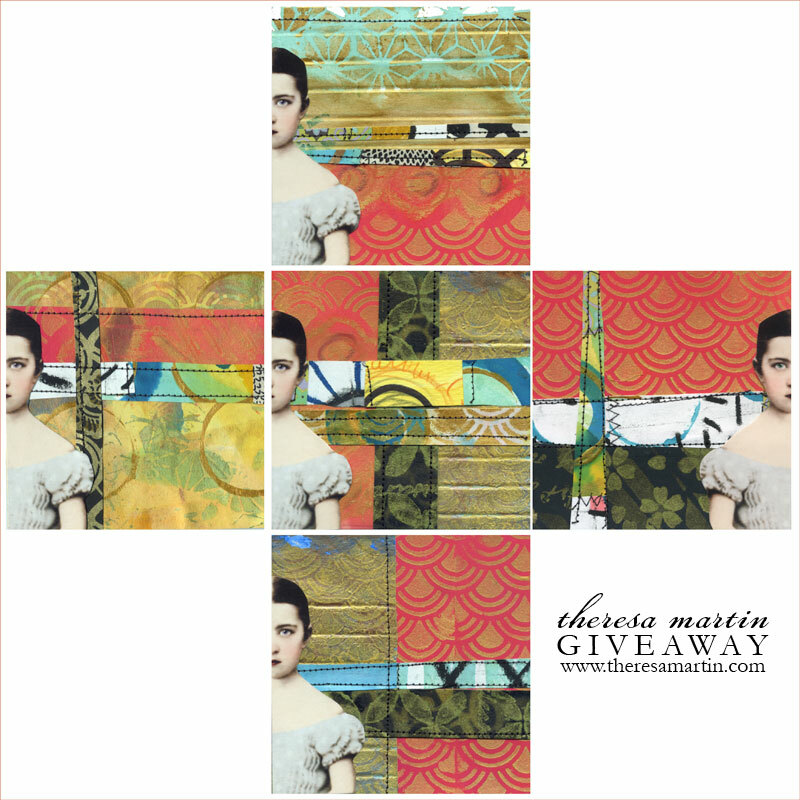 Categories: Blog | Tags: collage, gift certificate, giveaway, halloween, paperwhimsy, theresa martin | Permalink. 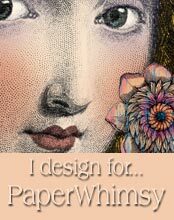 paperwhimsy.com is one of my favorite places. 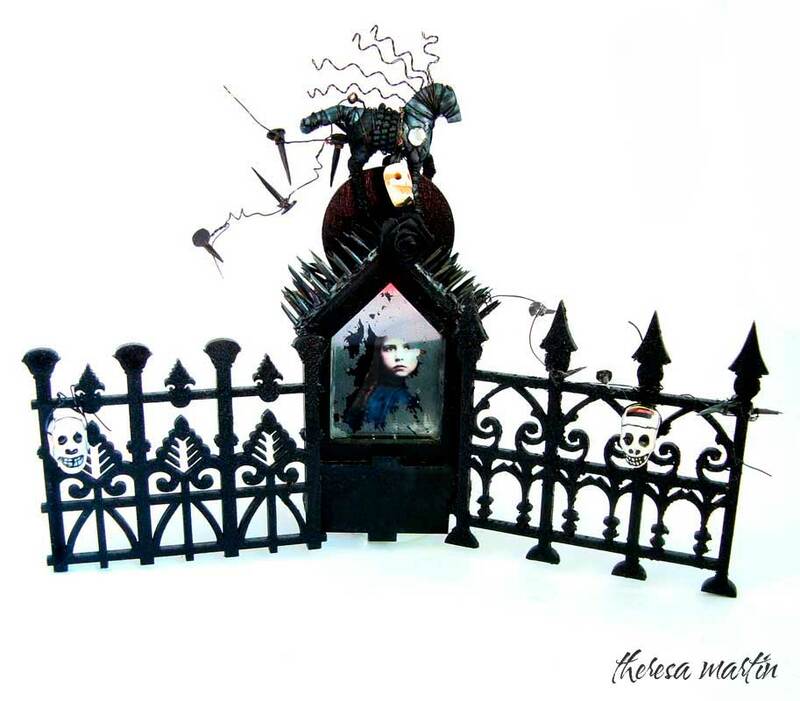 This October I was guest designer and I made Sleepy Hollow Haunted House for Gale’s inspire blog. Photographing the mixed media piece in low light gave me some spooky shadows and effects. Happy Halloween! 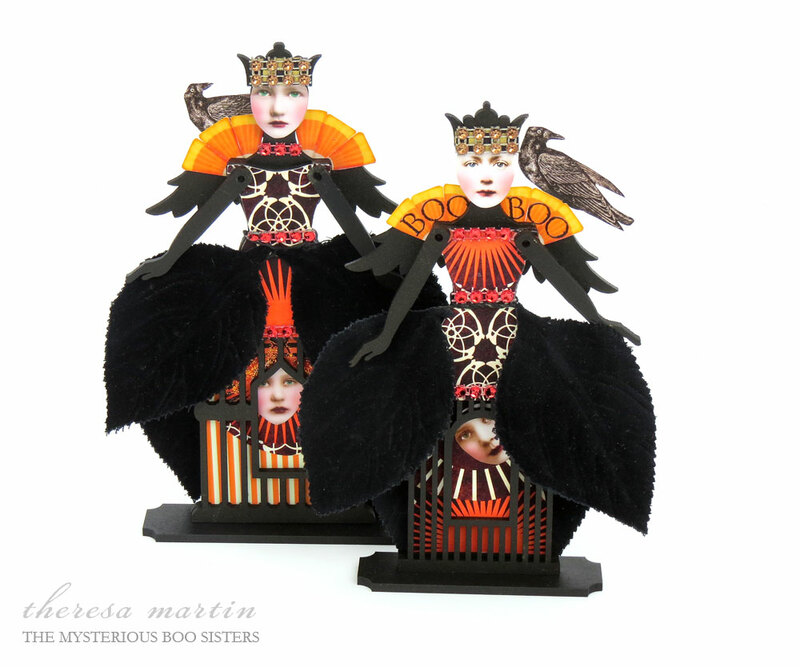 Categories: Blog | Tags: guest designer, halloween, haunted house, paperwhimsy, sleepy hollow | Permalink.